Great beginner project on 13 mesh for your favorite golfer. Belt includes images of nine flags/greens. We offer complimentary monograming. If you wish to kit please select your thread option in the suggested products. 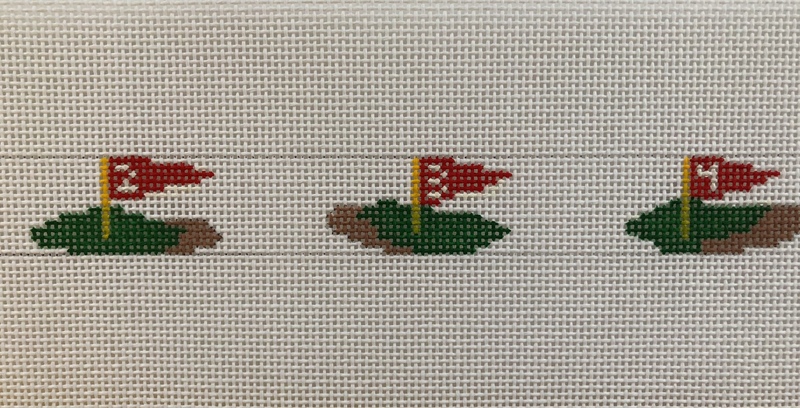 Great beginner project for your favorite golfer. Belt includes images of nine flags/greens. We offer complimentary monograming.